A new year always influences change. Whether it’s more of this, less of that, or something of the new, most of us choose to make a New Year’s pact with ourselves. Most commonly made, a “realistic resolution” which we attempt to tackle so vigorously during January, never sees the light of February despite our good intentions. Perhaps the key is to find something that’s different, but easy to adjust to? Have a look at our list of knitting resolutions – maybe we can help you achieve one or two of them? You may even recognise a few? Don’t cast on until you cast off. A very wise one, especially when space (and needles) are limited. Try to finish a project before getting started on a new one, then you’ll enjoy the satisfaction of completing something, while the anticipation of starting something new, looms. Be Honest. If you find a half-finished project that you started over six months ago, be realistic. Give yourself one week to continue with it, or unravel it. And if you find a few, choose the two that you’re most likely to continue, and free the rest – it’ll make you feel great! Socks and Scarves. Unless specifically asked for them, stay away from your knitting “comfort zone” of socks and scarves, to try something new. Even if it’s just one project this year. Spring Clean. Be it a crisp mid-March morning or a dreary November night, whatever the weather – let yourself enjoy the process of cleaning out your stash! 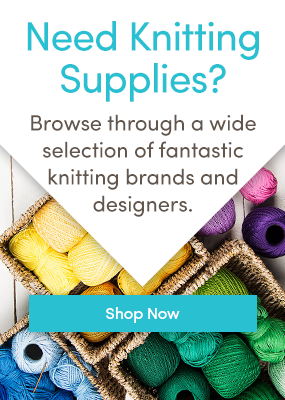 Not only does it help the health and longevity of your yarn, but you never know what gems you find nuzzled in the back there… But try to remember – If you don’t use it, then lose it! Anjuli has a resolution to learn Fair Isle. She also wants to crochet “some epic granny square blankets”, as she is involved in the Mood Blanket Project on Ravelry. Heather simply wants to get from two balls to three balls on our Team Page!! What are your New Year’s resolutions? And have you stuck to them?? Rosie loves changing her hair colour, buttons and the rain. As a relatively new knitter with an Interior Design background, she loves to make cushion covers using chunky yarn. Especially colourful ones. Last updated: January 19th, 2014. To knit something for a baby boy expected this year, and something for big sister aged 2. To make a pair of socks that fit!! To back the farmyard wall hanging I made last year…and to display it on my wall! Will definitely be trying the don’t cast on until you cast off and the sorting of unfinished projects. Add to it to knit more…with two new grandchildren on the way to add to the three I have I will be dipping into all the lovely new books of patterns and using up my stash.